nice! did you use clay to create it? One too many hamburgers there Mr Wright! 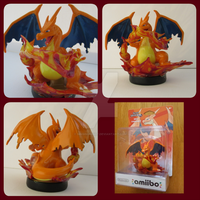 I would love to have this amiibo. It's amazing. Thanks! I'm still observing the market and demand on these things but he will be on sale at some point in the future. Awesome! I may have to put in an offer when that happens.